Thus we want to define what is dangerous and what is this unpleasant thing we want to avoid. A first obstacle stands in the way of determining risk. In fact, each of us seems to have a different perception of what danger is. For instance, you may be a firefighter that is so brave to jump into homes on fire and save people and still be very fearful when it comes to investing. How do we take investing decisions? “Buying assets that earn a return greater than the minimum acceptable hurdle rate” (A. Damodaran). As you can see the word “crisis” is comprised of two characters and each one has its meaning. In fact, the first means danger and the second opportunity. Thus, let’s start with this definition. Each time an investment decision has to be taken, the investor faces the danger (which in finance lingo is called risk) to lose the capital invested (or not generating enough returns), while he also put himself in the condition to be highly rewarded (in finance this reward is called return) for the undertaken risk. To simplify we have to find the % return that would convince the investor to risk his own money. To find this % return we have to study and understand what is risk and how to assess it. A first obstacle stands in the way of defining risk. In fact, each of us seems to have a different perception of what danger is. For instance, you may be a firefighter that is so brave to jump into homes on fire and save people and still be very fearful when it comes to investing! Also, in the investing world, there is a term used by behavioral economists, which is “loss aversion.” In short, it seems that we perceive losses way more than we perceive gains. This bias was first elaborated and verified by Amos Tversky and Daniel Kahneman. In other words, a 10$ gain is perceived more than twice less satisfactory of a loss of the same amount. This seems to be a built-in bias. Thus, we can do our best to define risk, although our definition may not be perfect. In short, to define risk, you have to identify the marginal investor first. But who is this marginal investor? Who is the marginal investor? The marginal investor is the person or institution that at any time may hold the stocks of a company and therefore also influences its prices. As you can see from the image provided by Morningstar.com Apple’s principal shareholders are Institutions and Mutual Funds. In fact, insiders hold just a tiny part of Apple’s issued shares. Thus, we can easily assume that Apple’s marginal investors are well diversified. That means that they will have a lower risk compared to a non-diversified investor. Why? Let’s assume that you have all your capital invested in one company. What happens if that company goes bankrupt? You will lose all your wealth, wouldn’t you? Conversely, if you have your eggs in different baskets if one basket falls you will still have the other eggs; If you are an individual, you can diversify your financial risk by investing in various stocks or for instance in a stock index. What about businesses? How can a business diversify (thus reduce) its risk exposition? Let’s see the different components of risk. If you are familiar with businesses, you may already know that they face several risks. For instance, although opening a restaurant always seems a good business idea, think for a second how many risks it faces. First, if you want to run a successful restaurant you have to experiment new dishes continually. Now some dishes will work out some will not. Those that won’t work will also have a cost for you. We will call the risk of these dishes not working out project-specific risk. Second, you have to be better than the other dozens of restaurants in the neighborhood. To do so, you will cut prices, or improve the quality of the product and so on. You won’t know if this will work out for sure. Thus, we will call this danger competitive risk. Third, you have to be able to manage your budget, since the price of the ingredients for your recipes steadily increases. Also, you have to make sure the restaurant is always clean and that it is compliant with legal standards. Thus, you have to follow periodically any regulation changes that may be in the industry. And also, update your system to make sure the restaurant is run efficiently. All those things cost you money and can also endanger your business. Thus, we will call them industry risks. Fourth, if you opened a restaurant in another state, you want also to understand the regulations in that state. Assuming that the country also has a different currency, this will can affect your revenues either positively but also negatively. We will call this sort of danger international risk. And fifth, if an economic crisis strikes the restaurant will resent it. In fact, when economic conditions worsen people have less money to spend on their leisure activities. What financial risks can be managed? The primary objective of diversification is to reduce and manage risk. But the problem is that while some risk may be easily mitigated, others are not. Perhaps, going back to the restaurant business, you may be able to diversify the project specific risk by trying out different dishes. For instance, you can play on the large numbers. If you try out ten new dishes, the chances are that nine out of ten will not work out. But the successful plate will generate more than enough revenues to cover the expenses incurred in trying out the other dishes plus an additional reward for the undertaken risk. Also, if a successful restaurant just opened in your neighborhood, you could either compete with it or become an ally. How? Well, you may buy part of the ownership. This, in turn, will reduce the competitive risk. Huge corporations like Amazon, which bought Zappos, Facebook, which bought Instagram or Whatsapp and so on, use this same strategy. This is a way to diversify their business model. Now there is also the strategic reason for doing so. Perhaps, Zappos can make Amazon more valuable, but these deals are also driven by the necessity for these businesses to reduce the competitive risk. Further, once the money from the restaurant business flows in you may want to consider investing it in other ventures as well. I did not say restaurants on purpose. In fact, if you keep investing in other restaurants, you may reduce your competitive risks, but this will not mitigate the industry risk. To diversify away this risk, you will invest in other industries. For instance, with the cash flow from the restaurant, you can buy a piece of real estate and rent it out. Since you opened your restaurant in another state with a different currency and interest rates; Assume that you have a restaurant in San Diego, CA and you just opened another in Rosarito, Mexico. Although those restaurants are 50 minutes apart they are in different countries. In fact, in San Diego, you pay in dollars and Rosarito in pesos. A dollar is worth several pesos. Also, according to the World Bank Landing Rates U.S. has a 3.3% lending rate, while Mexico shows a 4.9%. Thus, you may want to borrow in U.S. dollars and finance the Mexico operations with that money, assuming they will accept dollars rather than pesos. In this way, you will diversify away part of your international risk! A lot of hard work so far to take away some of the risk involved for being in business. Although you successfully managed to come so far, there is a form of risk that cannot be diversified. This is the market risk. In short, if the whole world economy will suffer (think of the 2008 global crisis), there is nothing you can do about it. As they say “A trouble shared is a trouble halved.” Hopefully, you saved enough money for the rainy days and will survive. How do you Measure financial Risk? So far we got two central concepts down, about risk. First, a risk is not an absolute concept but it somewhat depends on how well diversified is the marginal investor. 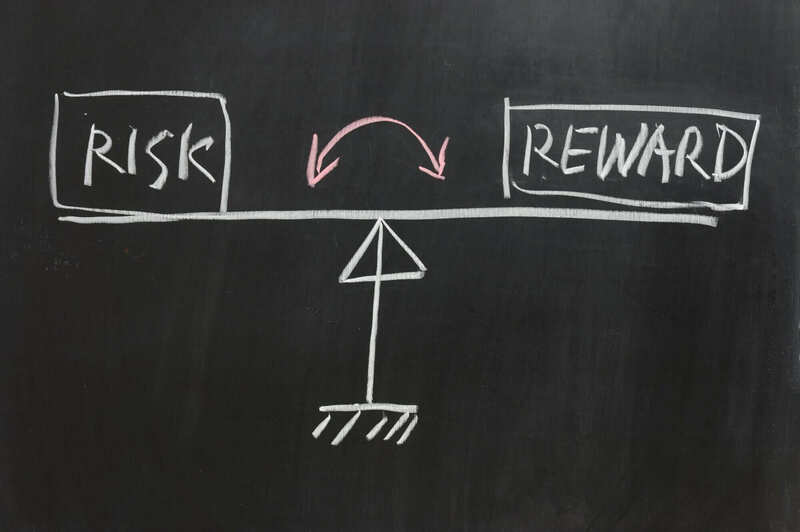 Also, we may argue that with new developments in behavioral economics we now know that there are also certain aspects related to risk (such as loss aversion and other built-in biases) that make risk an even more complicated topic. On the other hand, we are dealing with corporate finance; a world was shrewd financial managers assume that the marginal investors are rational. Thus, our second point is that marginal investors will tend to diversify their portfolios. Why? Let me use an analogy here. I apologize in advance for using the Darwinian concept of evolution, but I believe it makes my point. In fact, natural selection works somewhere around these lines: nature has scarce resources (in most of the cases). Thus the individuals living in the same environment will tend to compete against each other for survival and reproduction. This will bring to the creation of strategies by each competing in the same situation. Eventually, nature will select the winning strategy and avoid the rest. In conclusion, these strategies will be passed on to progenies. For instance, trees compete with each other for the sunlight. What is the best way to absorb sunlight? By being closer to the sun, thus by growing taller. For such reason, they tend to grow taller and taller until a forest will be created. While at the beginning of the process, you could see short trees, now they were utterly swept out. Thus, all the trees in the forest are tall, and they keep growing until they reach a limit to avoid losing their functionality (this is speculation). Eventually, all the trees in the forest will more or less have the same height. In short, there is a certain consistency. If we go back to the financial world, we can use the same example. When all the marginal investors understand that the strategy to manage the risk is to diversify the portfolio, they all start to use diversification. On the other hand, there is a point in which the marginal benefit of diversifying will be null. In fact, as we saw there is a component of risk (market risk or systematic risk) that cannot be diversified. Consequently, if you hold ten stocks or one hundred, it does not make any difference. Instead, it just increases the cost associated with managing such a portfolio. In conclusion, all the marginal investors will hold diversified portfolios, which will carry only systematic risk. Thus, this means that wherever we look in the markets, we will find diversified investors. Conclusively, the simplest way to compute the risk of a security is to assess the systematic risk or that part of the risk that cannot be diversified away. Disclaimer: this is not a financial counsel, neither a suggestion on how you should manage risk. Also, this isn’t necessarily the view of the author. But just an educational material intended to describe the definition of financial risks according to traditional corporate finance books. For financial advice consult a professional.